On July 31, 2002, the Federal Energy Regulatory Commission (FERC or Commission) issued a Notice of Proposed Rulemaking (NOPR) on Standard Market Design (SMD). This ambitious rulemaking builds on FERC’s earlier open access transmission requirements adopted in Order No. 888, and its policy of promoting Regional Transmission Organizations (RTOs) adopted in Order No. 2000. In this NOPR, FERC proposes to (1) expand and significantly change its system of transmission service regulation; (2) provide a nationwide standard for the structure of electricity spot markets and for regulation of prices in those spot markets; and (3) extend its regulatory role into new areas, such as minimum reserve margins. Policy Justification. The preamble of the NOPR sets out FERC’s justification for the SMD proposal. In short, FERC finds that residual discrimination in the provision of transmission services is obstructing the development of efficient competitive wholesale power markets. Importantly, in spite of the recent market failures in California, the NOPR does not retreat from the Commission’s policy goal of moving the Nation toward competitive bulk power markets. The SMD NOPR proposes aggressive steps that FERC declined to take in past rulemakings: for example, it would regulate the transmission component of bundled retail service (a step FERC refused to take in Order No. 888), and would require transmission owners to transfer operational control of transmission facilities to an independent entity (a step FERC declined to take in Order No. 2000). Legal Basis. The SMD NOPR, like Order No. 888, is a generic remedial action under section 206 of the Federal Power Act (FPA). Section 206 requires the Commission to prescribe corrective remedies if it finds that existing practices of jurisdictional public utilities are unjust, unreasonable or unduly discriminatory. As in Order Nos. 888 and 2000, FERC’s description of the prob lem focuses heavily on continuing discrimination in the provision of transmission services. The principal factual predicate for SMD as a proposed section 206 remedy is a finding of continuing undue discrimination by transmission owners (TOs). FERC states that the Order No. 888 open access transmission tariff permits many TOs to favor their own or affiliated generation. Some key elements of the NOPR are not remedies for transmission discrimination, however. For instance, market power mitigation remedies are proposed to ensure that rates for wholesale sales are just and reasonable; and reserve requirements are proposed to avoid electricity supply shortages in which market power can be exploited. On the strength of the Supreme Court’s ruling in New York v. FERC, FERC proposes to extend its regulatory reach to regulate the terms and conditions of the transmission component of bundled retail sales. This element of the rule, though well founded in the Supreme Court’s recent decision, has proved to be a lightning rod for opposition from many state commissions. Independent transmission providers. Independent transmission system operation is a key objective of the SMD rule. However, the SMD NOPR does not require TOs to join RTOs. Instead, it requires all jurisdictional TOs to join an RTO, or to become an independent transmission provider (ITP), or to contract with an ITP to operate its transmission facilities. The NOPR includes new specifications on acceptable ITP governance arrangements that will satisfy the ITP independence requirement. There are two key differences between ITPs under the SMD NOPR and RTOs under Order No. 2000. First, while RTO formation was voluntary under Order No. 2000, transfer of operational control of transmission facilities to ITPs would be mandatory for jurisdictional TOs under the SMD NOPR. Second, while the “scope and configuration” (i.e., geographic coverage) of RTOs was a key consideration under Order No. 2000, the geography of ITPs is not an issue addressed in the SMD NOPR. The basic theory appears to be that the standardization of the transmission tariff across transmission providers will reduce the need to merge ITPs into a single RTO. Moreover, the SMD NOPR contemplates that ITPs within a region will coordinate among themselves, or through RTOs or Regional State Advisory Committees, on planning and other regional issues. Transmission pricing. Embedded costs would be recovered through an access charge assessed to load-serving entities (LSEs), based on load share ratios. The NOPR proposes to use locational marginal pricing (LMP) to assess transmission congestion charges. LMP essentially relies on determining spot market clearing prices at a large number of nodes, and assessing congestion costs on the basis of the difference in spot energy prices at different nodes. This system of congestion pricing is used now in PJM and NYISO. Congestion revenue rights. In order to allow customers to acquire and hold the financial equivalent of firm transmission rights, ITPs will provide for congestion revenue rights (CRRs) that entitle the holder to receive any congestion revenues associated with a specific combination of receipt and delivery points. Thus, by holding CRRs, a transmission customer can use a fixed path between generation and load (or to or from hubs) with protection against the costs of any congestion that might occur on the path. CRRs would be marketable. The initial allocation of CRRs is a subject on which the FERC seeks comment. The NOPR proposes to allocate CRRs to customers paying access charges. “[W]e seek to minimize cost shifts that could result from our proposal, and we propose to maintain as much as possible the explicit and implicit transmission rights currently held by customers.” NOPR at P 171. Although CRRs provide financial rights, not physical rights, FERC proposes to give scheduling priority, if all schedules cannot be satisfied, to transmission users holding CRRs. Native load transmission. The NOPR proposes to eliminate any preferences for native load transmission, first, as an interim step (by September 30, 2003), through changes to the existing pro forma OATT, and later under the new SMD tariff. 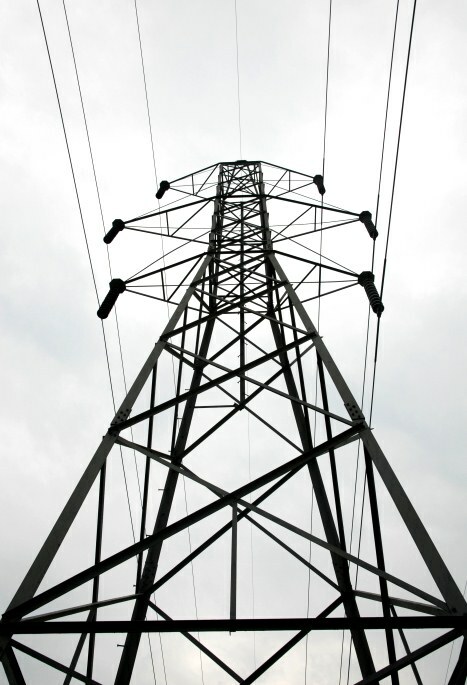 This proposal presents three controversial issues: (1) the policy question of whether native load “deserves” an ongoing preference with respect to terms and conditions of transmission service; (2) the legal question of whether FERC has jurisdiction over the transmission component of the bundled retail service; and (3) the political question of whether the proposal is an unwarranted incursion into matters traditionally reserved to the States. These questions have been among the most hotly contested in the SMD rulemaking. FERC seems determined, however, to use the SMD proposal to bring all transmission under a uniform congestion management system. The NOPR attempts to defuse the controversy over native load transmission by proposing to allocate CRRs (or the revenues from the auctions of CRRs) to all current firm usages of transmission, including native load service. This approach is designed to grant firm transmission users with financial rights that leave them financially neutral if they use the same transmission they historically used, and would give them the option of selling those rights for a profit when others value the transmission rights more than the current user. Reciprocity. The NOPR proposes to carry forward the reciprocity policies of Order No. 888 for non-jurisdictional transmission owners. Moreover, the NOPR proposes to “grandfather” all reciprocity tariffs that have previously been found to meet the comparability standards of Order No. 888. ITP-run Spot Energy Markets. A core element of the SMD proposal is use of LMP for congestion pricing. To implement LMP, FERC would require ITPs to operate day-ahead and real time auction markets. Many pages of the proposed SMD tariff, for instance, are devoted to the mechanics of how the ITP will run these spot energy markets. Participation in these spot markets is not mandatory. Generators, marketers, and others are free to buy and sell energy bilaterally, including bilateral sales of spot market products. The NOPR explains that load-serving entities will determine a proper mix of purchases under bilateral contracts and in the day-ahead and real time energy markets to be operated by the ITPs. If an ITP’s market monitoring unit (MMU) concludes such measures are necessary on the basis of its analysis of market power in the region, a set of ex ante spot market bidding rules that the MMU can implement before markets close to adjust bids that are “out of line” (the NYISO’s Automated Mitigation Procedure (AMP) is the prototype). Design and implementation of these market power mitigation procedures would be the job of the ITPs’ market monitoring units. Reserve Requirements. The proposed “resource adequacy” requirements, discussed above, would put the Commission squarely in the middle of supply adequacy determinations that have historically been the province of state regulators. Based on the California experience, FERC has concluded that some excess capacity is needed in order for wholesale power markets to operate competitively, and that the energy markets, by themselves, may not induce sufficient supply for this purpose. The NOPR’s resource adequacy requirements would be in lieu of installed capacity (ICAP) markets currently in place in some ISOs. Under the NOPR, load-serving entities would be required to demonstrate that they were planning for adequate reserves (the “adequate” level to be determined by the region) over an appropriate planning timeframe (the “appropriate” timeframe to be determined by the region). Reserve requirements could be satisfied with owned generation, bilateral purchase contracts, and demand response resources. An LSE that fails to comply would face two sanctions: tariff-specified penalties to be assessed on spot market purchases in shortage situations; and, if curtailment were necessary, curtailment ahead of LSEs that had satisfied the response adequacy requirements. Demand Response. The NOPR marks FERC’s biggest push to date to spur greater participation of demand-side management in energy markets. The NOPR would allow demand reduction to be bid into spot markets on a par with offers of supply, and to be an element in a LSE’s compliance with the resource adequacy requirements. Intraregional Coordination among ITPs and States. The NOPR says little about how ITPs are to carry out their responsibilities and interact with each other if there are multiple ITPs in a given region. On some key issues (e.g., transmission planning, rate design and revenue requirements, resource adequacy requirements), the NOPR proposes to rely on input from state commissions through a Regional State Advisory Committee working with the ITP. The NOPR says little about how such committees are to be formed or are to function. Timeframes for Implementation. Given the magnitude of the proposed changes, FERC proposed a very aggressive schedule for putting SMD in place, with deadlines for interim steps beginning in the second half of 2003, and with the expectation that ITPs would be operating under the SMD tariff by 9/30/04. Given the extensions in the original schedule for the rulemaking, these implementation schedules proposed in July 2002 are likely to slip in a final rule. Opportunity to Comment. The NOPR is over 600 pages long. The preamble includes numerous questions on which the Commission explicitly requests comment. In addition, the NOPR includes 10 pages of proposed new regulatory text; changes to the current OATT that are to be made in the interim period before implementation of the SMD tariff; and a new SMD tariff that would ultimately substitute for the OATT. The Commission has already collected initial comments on all issues, and has held a number of technical conferences and outreach sessions to gather feedback. Reply comments are due on 2/18/03. In recent weeks, FERC announced that it would accept comments on the NOPR through 2/28/03, and subsequently announced that it expects to issue one or more white papers in April and will accept public comment on those papers. The earliest date for issuance of a final rule is probably July 2003. Note that the FERC’s ex parte restrictions do not apply to notice and comment rulemakings, so there is no bar on informal contacts with Commissioners, Commissioners’ assistants, or FERC staff concerning the SMD proposal.